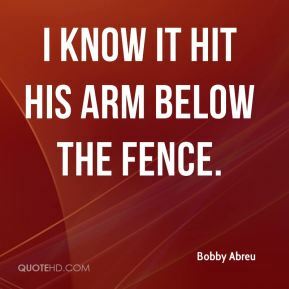 I know it hit his arm below the fence. 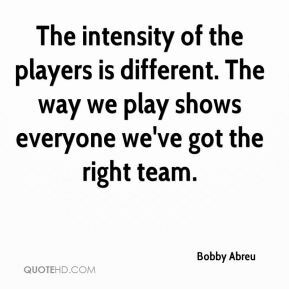 The intensity of the players is different. 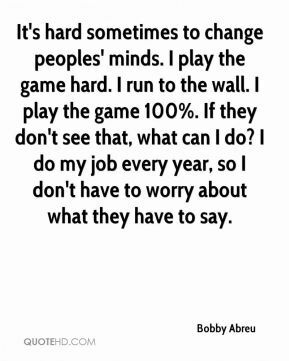 The way we play shows everyone we've got the right team. 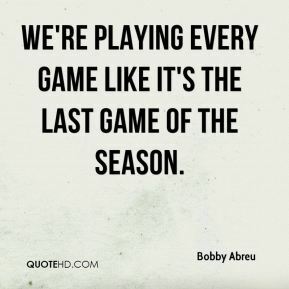 We're playing every game like it's the last game of the season. This road trip is very important that we're going on. 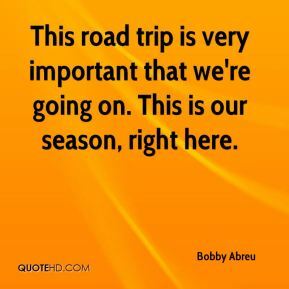 This is our season, right here. What can I do? ... No matter what, I'm going to play. 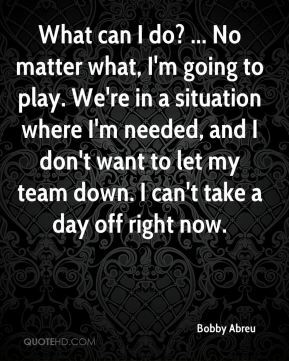 We're in a situation where I'm needed, and I don't want to let my team down. I can't take a day off right now. It's a different attitude. Everybody's relaxed. Everybody's focused. 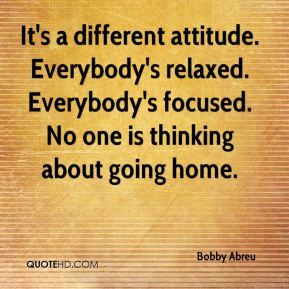 No one is thinking about going home. Not playing would be worse. These games are very important for our team. 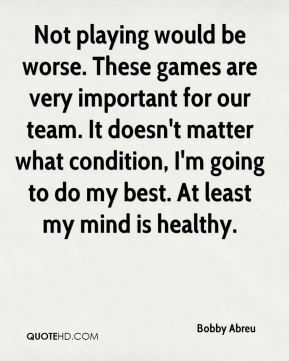 It doesn't matter what condition, I'm going to do my best. At least my mind is healthy. [Philadelphia finished with a 9-3 victory and a four-game winning streak that maintained its playoff hopes when all seemed lost just a week ago.] 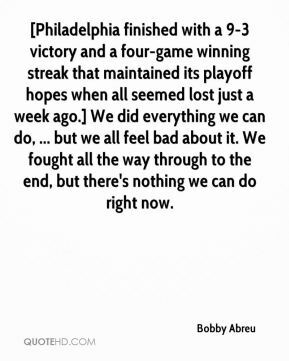 We did everything we can do, ... but we all feel bad about it. We fought all the way through to the end, but there's nothing we can do right now. It's hard sometimes to change peoples' minds. I play the game hard. I run to the wall. I play the game 100%. If they don't see that, what can I do? I do my job every year, so I don't have to worry about what they have to say. 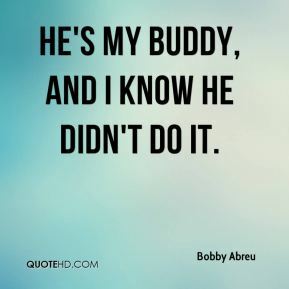 He's my buddy, and I know he didn't do it. It was weird playing against my teammates, especially facing Myers. 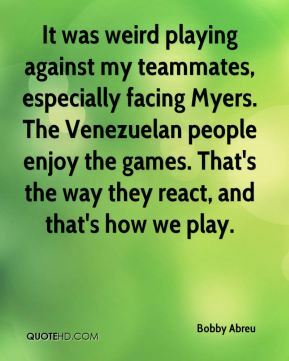 The Venezuelan people enjoy the games. That's the way they react, and that's how we play. It's a beautiful thing to experience. 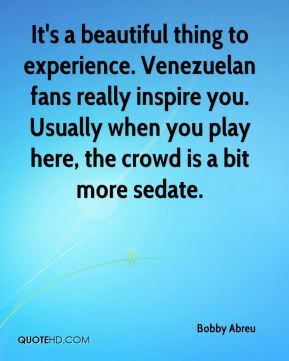 Venezuelan fans really inspire you. Usually when you play here, the crowd is a bit more sedate. 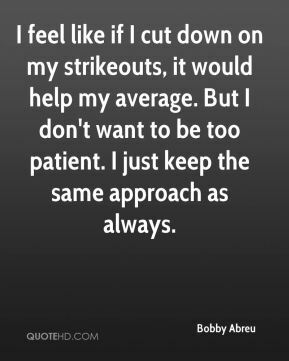 I feel like if I cut down on my strikeouts, it would help my average. But I don't want to be too patient. I just keep the same approach as always. 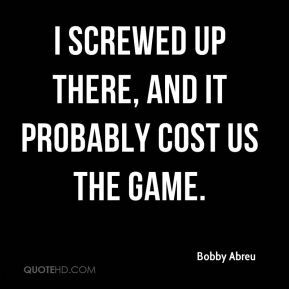 I screwed up there, and it probably cost us the game. I made the wrong turn, especially on the second one. 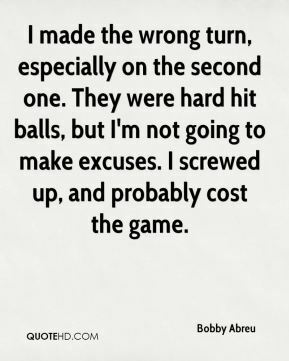 They were hard hit balls, but I'm not going to make excuses. I screwed up, and probably cost the game. I faced him before. He's tough. 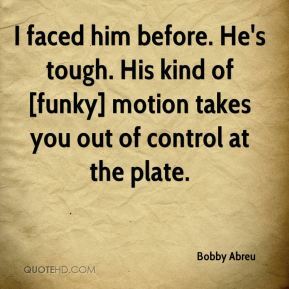 His kind of [funky] motion takes you out of control at the plate.